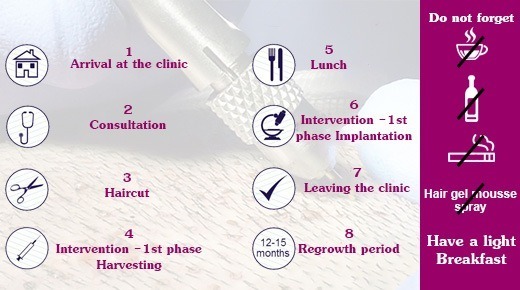 Hair transplantation have been a successful methodology in yielding successful results for hair loss patient and thus to operate for the surgery there are certain set of principles and instructions that must be followed by the hair loss patient so that a hair expert can perform with maximum efficiency without harming a patient in any means. One must always follow the suggested Pre-operative instructions for better results from the surgery. When hair transplant is performed by hair expert of hair clinic in Ahmedabad, Avenues he suggest true Pre operative instructions that are essential to follow prior to the surgery, ignoring of which can lead to severe complications from the surgery. Avoid smoking for about 24 hours before the surgery day. Do not drink any type of alcohol 3 days preceding to your surgery. Do not take any drug that contains aspirin. Do not go for hair cut for at least few weeks prior to surgery so that about 2 – 3 cm hairs is present at the donor area for hair transplantation. Do not use any sort of Regaine, 1 week before the surgery. Stop use of doses like minoxidil before 1 week of surgery if you take any. Complete all the formalities and payment before the surgery day itself. Do keep your scalp clean such that it must not have any sort of spray, lotion or oil prior to surgery. Do wash your hair properly with a normal shampoo. Take proper breakfast on the morning of the surgery. Do come on time or before time in the clinic for the surgery. Try to wear easy to remove shirt or clothing which does not disturb hairs. Do not wear T-shirt. Do take proper sleep before the surgery. You may not return back home by yourself after the surgery so do arrange someone to pick you up immediately after the surgery. Avoid self drive after the surgery. Minoxidil – As a lotion to be taken before the surgery at the recipient area. Prednisolone – As a tablet for preventing forehead oedema. Augmentin – As an Antibiotic doses in the tablet form to avoid any sort of infection. It is essential that the patient continuous to take head massage for at least the week preceding the surgery. This helps in maintaining the skin elasticity and it also facilitate easy hair transplantation. It is more beneficial to take 10 to 30 minutes scalp massage 2 4 weeks prior so that it softens your skin in the area where transplantation has to be carried out. When you go for massage prior to the surgery it will facilitate easy removal of skin or hair follicles. Also this will reduce your stress and tension level so you may relax during the procedure. This also helps in healing as you will be calm during the scars and stitching process. 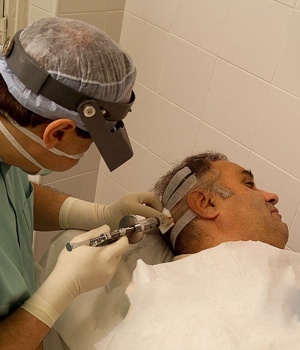 When proper Pre operative instructions are followed by the patient before hair transplant surgery then it is sure that patient will be able to receive Best Hair Transplant in Ahmedabad, Avenues. Also when you are prepared as per the instruction of the hair expert he will be able to perform every process more efficiently and thus results will be more accurate.